Injustice is the root of poverty. Poverty spouts, grows and flourishes in injustice. We cannot fully address the needs of the hungry without addressing the reality of poverty. 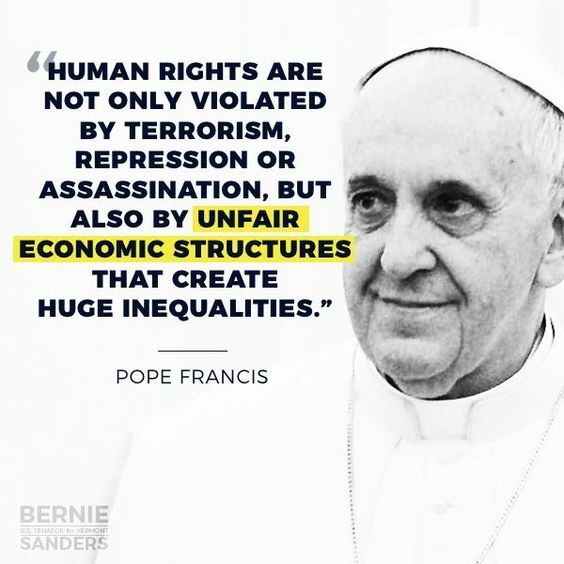 And we cannot address the issue of poverty without dealing directly with the injustice from which it springs. It is not enough to feed the hungry. Faithfulness demands that we ask the hard question: “Why are they hungry?” The answers will always lead back to oppression and injustice. Always. 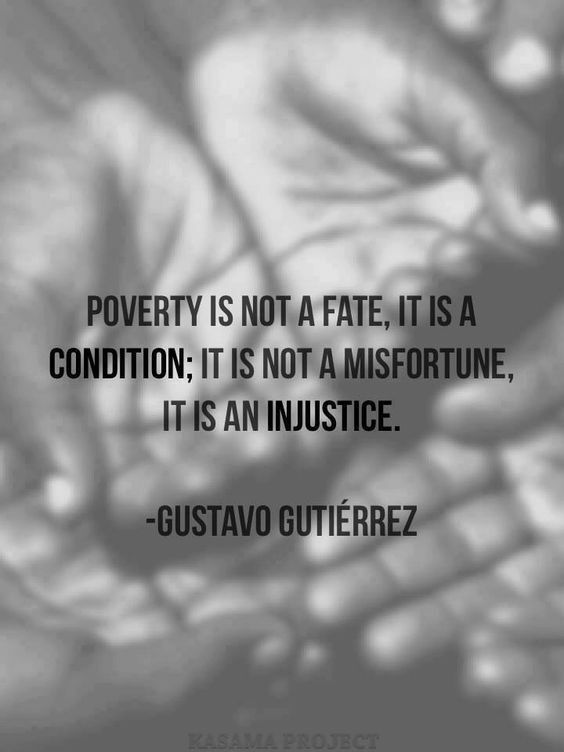 This entry was posted in Hunger & Poverty, Quotes and tagged condition, faithfulness, fate, Gustavo Gutierrez, hungry, injustice, misfortune, opression, poverty, quote on February 6, 2016 by Ray Buchanan. There is a convergence today between the Biblical view of Jesus as Liberator, and the cry of oppressed peoples for liberation. For our own day, to “see the world through eyes other than our own” has simply got to mean seeing it through the eyes of the poor and dispossessed. When the story of Jesus and the story of human oppression are put side by side, they fit. They are simply different versions of the same story. The cry of the hungry is overwhelming. The cry of the politically and economically exploited is overwhelming. The cry of those in prison and under torture is overwhelming. The cry of parents who know that their children are doomed to stunted and warped lives is overwhelming…. What is true freedom? There are many competing definitions. However, whatever definition we choose, we need to remember that freedom means responsibility. Freedom is not just liberation from something, it’s liberation for something. This entry was posted in Hunger & Poverty, Quotes, Spirituality & Religious Writings and tagged Biblical view, children, convergence, dispossessed, economics, freedom, hungry, Jesus, liberation theology, opression, politics, poor, prison, Robert McAfee Brown, torture on January 23, 2015 by Ray Buchanan.